These paleo lemon bars are sweetened naturally with maple syrup and are grain-free, gluten-free and dairy-free! You might be wondering why I’m posting this paleo lemon bars recipe when, as you know, it’s pumpkin time! 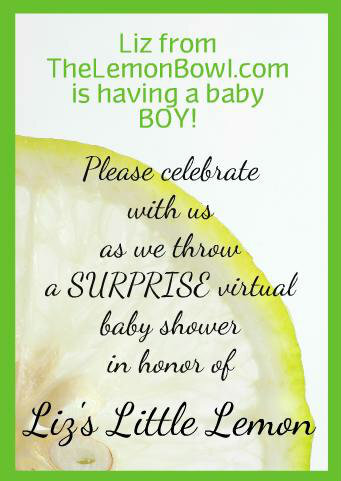 Today, a group of food bloggers has gotten together to throw Liz of The Lemon Bowl a surprise baby shower! I got to meet Liz while at BlogHer Food in Austin this summer. She was so sweet and I’m super excited for her and her family! Liz, who almost always posts healthy recipes, got a bit naughty with her recipe for lemon bars. They were for her mother for Mother’s Day but I figured that Liz would love a healthier version! And these lemon bars also happen to be paleo. 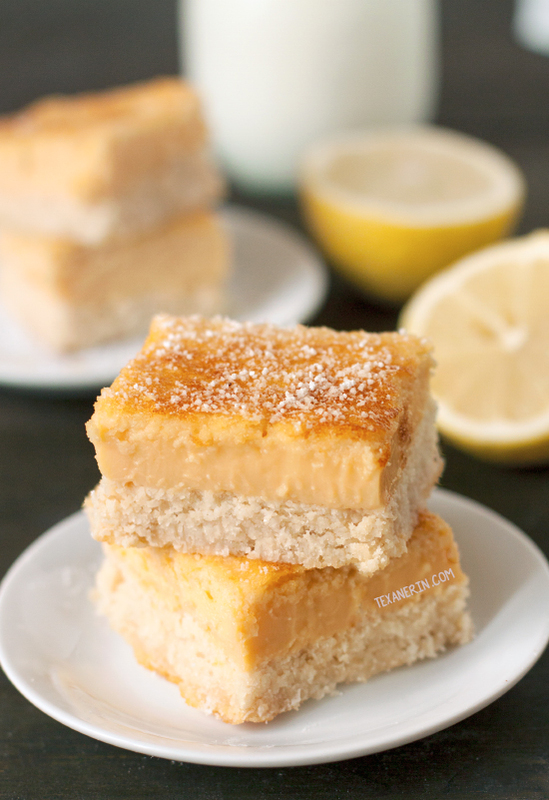 Lemon bars are usually so full of white sugar but this paleo lemon bar version? Just maple syrup! And there’s so little of it compared to the amount of sugar in other recipes. These lemon bars have a macaroon-like base. But it was just too much crust for me. I’ve written the recipe as I made it, but I would halve the crust if I were you. Don’t need to eat grain-free? Go for the less healthy crust in the raspberry lemon bars! :D I mentioned in my blueberry cream cheese pie recipe that it’s the best crust ever. And it is. But it’s kind of an unfair comparison – it’s full of butter, sugar, and whole wheat pastry flour and this version is grain-free and lightly sweetened with maple syrup. Line a 9" x 5" loaf pan with parchment paper (this make the bars much easier to remove from the pan). Melt the coconut oil in a medium sauce pan over medium heat. Add the maple syrup, shredded coconut, almond flour and salt. Mix until well combined and remove from the heat. Add the egg white (saving the yolk for later!) and stir. Pat the mixture onto the bottom of the prepared pan and press down firmly. Bake for 10 minutes and then remove from the oven. In a large bowl with an electric mixer, beat together the eggs and egg yolks until frothy. Add the remaining ingredients and beat for two additional minutes. Pour the filling over the baked crust and bake for 19 - 21 minutes or until the center is set. Let the bars cool completely and then cut and serve. Before serving, dust with powdered sugar or coconut flour, if desired. Please read the post concerning halving the crust! 86 comments on “Paleo Lemon Bars (grain-free, gluten-free, dairy-free)” — Add one! Wow these were crazy good! Oh yum! Just made these and couldn’t wait to try a little piece from the edge.Lemon heaven! Thank you dor the recipe. I loved these bars! I kept the crust as the original recipe and really loved it. I think the crust was a tad underdone so next time I will cook it for a little longer but they were still amazing! This look so yummy, I’m allergic to almonds so i use coconut instead, can I substitute coconut flour instead of almond flour? Hello I have substituted almond flour with half buckwheat flour and half coconut flour. Coconut flour is notoriously dry though. Thanks for the tip! That’s an interesting sub. :) I wouldn’t recommend it for this recipe, though. I don’t think buckwheat would go well at all with the lemon flavor. Hi i made these today. They taste yummy but my base wasnt crunchy and the filling was sticky on top. may you please let me know what i did wrong? Aww, what a bummer! I’m sorry it didn’t work out. The filling with wheat flour is smooth and plenty sweet so I’ll have to see how the grain-free version works. I think I may try a small amount of coconut flour and see how that goes. Once I get around to trying it out, I’ll leave a comment here (and you’ll get an another email) to let you know how it went! It won’t be for a while, though. Thanks so much for letting me know how it came out! Hey again! Another commenter on the raspberry bars post said she used arrowroot starch / powder / flour in place of the flour in the filling and it worked out well for her. :) I hope that helps! 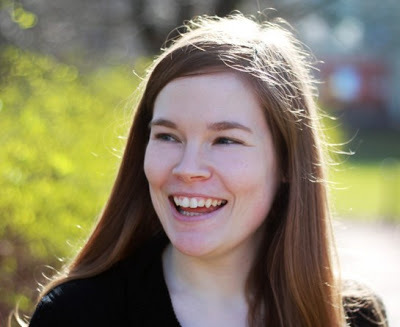 Hi, Erin! I am so excited to find this recipe! Do you happen to know if this could be modified to be made with Stevia instead of the maple syrup? Thanks! I did not have any shredded coconut on hand, so I added two tablespoons of Chia seeds to the mixture and a dash of extra coconut oil. I made the filling as directed and they turned out AMAZING! Thank you so much for the recipe! That’s an interesting sub! I would have never thought of that. So happy that it worked out. :) Thanks a bunch for the feedback! Thanks for sharing the recipe! These were delicious, will definitely make them again, and again. Question – have you ever tried freezing them? If so, how to they stand up to the freezing? Sorry for not getting back to you sooner, Olga! I haven’t tried freezing these and to be honest, I’m not sure how well they’d do. I don’t normally freeze eggy / custard types of desserts but for some reason, I think this one wouldn’t be all that bad after freezing. I’m happy that you enjoyed the bars and thanks for the feedback! They came out perfect! Thanks! I was wonder do you use “shredded coconut” or “Coconut Flour” ? When you click on the shredded coconut link it sends you to Bob’s Red Mill Coconut FLOUR. I have both but I want the recipe to turn out. Which did you use? These look wonderful. I’m wondering, can the coconut be omitted to reduce the crust? Thanks, Erin. I’ll let you know how it turns out. i cant wait to try these. By any chance would you happen to have the nutritional information? thank you. I made these in an 8×8 pan. They couldn’t be more perfect! Very lemony with a tender, moist crust. I will definitely be making them again – WOW!! This looks so good I cant wait to try it! Not sure where I went wrong with these. I did not halve the crust (thankfully!) and it was a very thin spread, indeed. We ended up having to eat these with a fork. They did taste excellent, but the texture…. hmmm. Much to be desired. Perhaps the shredded coconut should be finely shredded? I think this was my issue. My coconut shreds were very large and did not help to hold the whole together. Any other thoughts on why mine turned out so viscous, as a whole? I’m sorry they didn’t come out! :( Did you use a 9″ x 5″ loaf pan or a larger one? Because my crust was much too thick! (hopefully you can see what I mean by the pictures). If your coconut shreds were abnormally large, that could definitely play a part in the problem. Did you make any subs or do anything differently? I’m not sure what else could have caused the problem. I’ve made these several times and never had an issue. Sorry again that they didn’t come out for you! I haven’t tried these yet, but am wondering whether the problem above could be because flaked, sweetened coconut was used, rather than grated, unsweetened. These sound wonderful and I love lemon bars so much but the idea of trying a healthier version is great. I love lemon bars, and your version looks perfect!! Just made these. They’re so good! Thank you! I made a GAPS version by using honey instead of maple, and I had half the base like you said, which was perfect. I did use the other half of the base in another pan, drizzled with some of the lemon, and baked that for a soft biscuit/slice thing, which is also really good! oh, I did also have to bake it all double the time you said. These look AMAZING! Liz is a great gal and what a wonderful event you all put on! These are absolutely beautiful. I’ve experimented a little with a healthier version of a lemon bar, but I didn’t come up with anything that I was 100% happy with…next time a craving hits, I will be making this! These are beautiful, what a perfect baby shower treat! G’day! Looks absolutely a lemony delight, true! Haha. I wish I could teleport some to you. :) Thanks for stopping by, Joanne! I love that these are a healthier version. Lemon bars are one of my favorite desserts! Mmmmmm….I love a good lemon bar! Can’t wait to try this recipe! Oh lemon bars with maple syrup?! Love that idea and the coconut in the crust! Nice job!! 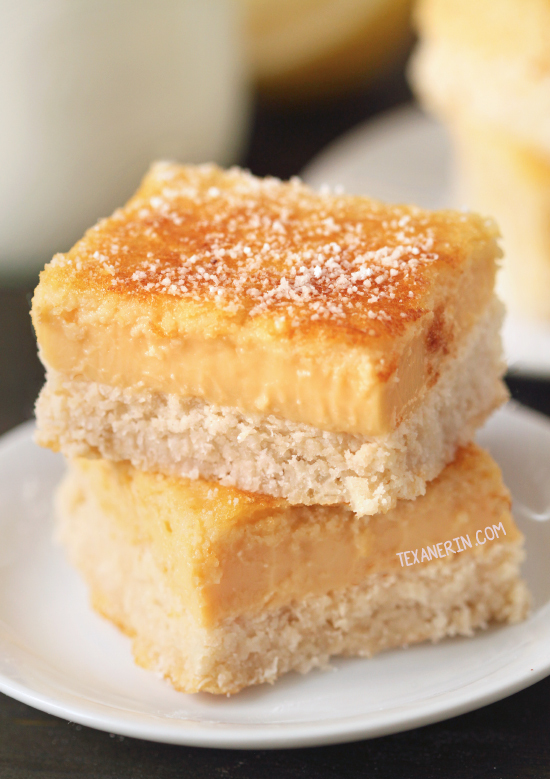 Love that these are grain free and naturally sweetened – that is hard to do to a lemon bar. Bookmarking! Beautiful Erin! Love these darling!!! Love classic lemon bars! You just can’t go wrong! Thanks for sharing. These look awesome! Lemon bars are one of my favorite things — definitely excited about a healthier version! Now this is what I’m talking about! 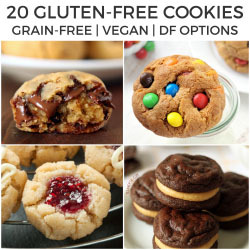 My favorite dessert with less guilt! So perfect for Liz’s Shower.